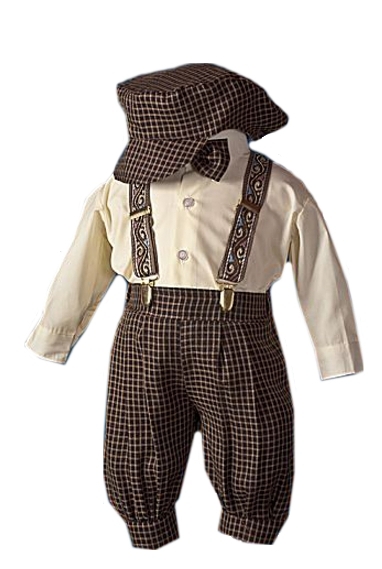 DapperLads - Dark Brown Check Vintage Knicker Outfit - Knickerbockers - US made Victorian fashion boys knickerbockers sets with genteel nostalgic appeal. This handsome knicker set is in a dark brown and khaki check. 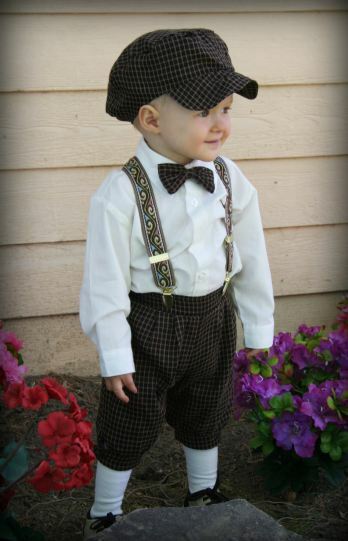 The 5-piece set includes shirt, cap, suspenders, bow tie and the knickerbockers. The ivory shirt is cotton poly, the knickers are polyester and the suspenders are a ribbon swirl pattern in coordinating colors. The outfit runs small, particularly in the allowance from waist to crotch for infant sizes. The length of the suspenders, the length of the shirt, and the cap size also do not have much allowance. Note - The ivory socks are sold separately. 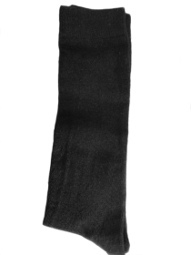 Refer to the height / weight chart and order up if near the top of a size and choose carefully.